It’s a good question … for most, the answer is zilch. Or, the response is: what’s a tagline? Okay … what is a tagline and why should an author care? Ahh … now we are into the meat of it. Start with separating a tagline from a slogan. Where a slogan is usually used for a single campaign or product; taglines are used for an entity as a whole. That means YOU or your book line. If a visitor to your website or someone who had your business card or someone who read a description or short bio on a blog or article read your tagline (if you have one), would he or should he know what you do or what you offer without an explanation? Taglines are a hook to what you, your company, your books are all about. There’s a commonality and there’s a book load of information delivered in just one line. They aren’t complicated and use simple, easily understandable words that a reader doesn’t have to reach for a dictionary to figure out what was just written. Betty Sargent created BookWorks, an association dedicated to the self-published author. Its tagline, Where authors, self-publishing pros and the media meet to discuss, share and network tells the visitor that it’s a gathering spot where they can connect, ask and get info. Joan Stewart is known as The Publicity Hound and delivers webinars, a twice a week newsletter and has created a variety of tools designed for authors and book publicity. Her website tagline, Tips, Tricks & Tools for Free Publicity tells the visitor exactly what she as The Publicity Hound offers. AuthorU.org is a nonprofit author membership organization that does virtual as well as face-to-face meetings throughout the year and offers free weekly coaching to its members. 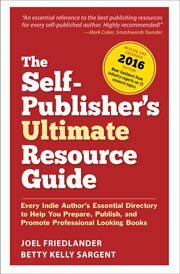 In September, it hosts the three-day AuthorUExtravaganza.org event where a variety of publishing experts deliver workshops. It’s tagline, Where Authors Go to become Seriously Successful tells the visitor that if you want to be successful, AuthorU is the place to go to—if you don’t or are just dabbling, take a pass. My tagline on TheBookShepherd.com website is Creating Successful Authors with Practical Publishing Guidance. As an author, who doesn’t want to be successful … and would you as a visitor want practical guidance in the process? They tell or clearly imply who or what the company offers. They aren’t and don’t have to be cutesy. They are one sentence and short with the majority seven words or less. Just a few words that tell a lot. Did each of the above just roll off the tongues of the creators or quickly flop from their fingertips? Doubtful—to find the right words to convey the exact meaning may take some serious noodling. You may be halfway there or need some help. Below are four websites that you can use to start the process. All have the same objective; each though, will come up with different ideas. It’s a start. With Shopify Free Slogan Maker, you enter your key word or phrase, and click to see what is generated. Using Slogan Generator, it encourages you to rework phrases until something “clicks” for you. Sloganizer encourages the user to “Sloganize” … meaning add your word or phrase and start tweaking. Free Slogan Generator is another site that can be tapped into. What’s Your Website Say about You at First Glimpse? If it has your name … it’s the beginning for you and your book. But what else? If you already have a tagline, does it reflect who you are and what you do? Or, is it stagnant or stale. Does is need a makeover? Or are you standing naked—with no tag, phrase or keywords that the SEO gods will embrace and your visitors will feel—I’m in the right spot? As you create them, share them with me in the comments or at Judith@Briles.com. It would be fun to do a follow up column with “before” and “after” taglines. A “before” could be that there is none; or it’s so vague that it stumbles to the after take away. Then, post it on your banner section of your website and start using it. It’s called branding. I have never thought about a tagline and wouldn’t know where to start. My books are many historical and for kids between the ages of 8-12 but can also be enjoyed by adults. My short stories are a mixture of ghost stories and simple children’s stories. Something that just came to mind is Gathering around the Story Tree. My books are historical stories with ghosts and mystery. My picture book is a good bedtime story. My short stories are a mixture of ghost stories and children’s stories. Thank you, Judith for the article on taglines. While I have a tagline I feel very good about, I used the slogan generator on Spotify to generate possible titles for blogposts. I got some ideas that never would have occurred to me. God for you Ed. I think one of the power gooses that comes from a slogan generator is the “twist”. Something that adds to our creativity, which I love. Oops. Meant GOOD-/ love iPhone changes! “Innovative Fiction for Awesome Readers” is my tagline, which dovetails with my publishing company’s name: Innofiction Books. I’m currently writing a thriller, but I plan on branching out to other genres. My books are set in a fantasy world where superheroes from High School up are featured on a reality TV channel. I’m just completing the second in the series so the line I’ve gone for is ‘Cape, camera, action!’. Since I plan to write books in different genres, I like the idea of a slogan for every series, but if I had to choose one just for me as a writer it would be something like ‘Colorful optimistic stories for readers who love happy endings,” but I could be shooting myself in the foot with that one! which is too subtle a play on words to catch peoples’ attention. Thanks for the nudge to update it! This is interesting and certainly the examples offered all make sense – but none of them were authors. I just did a quick search of several authors’ websites and didn’t see any tag lines for any of them. I also tried the generators suggested but the slogans didn’t make any sense with the particular keywords. All due respect, I just don’t see what kind of tag line a fiction writer could come up with that would make sense and not seem weird. You can’t really call yourself things like the Queen of Suspense, or similar monikers – I think those have to be bequeathed from someone else. Thanks for the quick response. Okay I see what you mean. Not sure if that would work for me though. But thanks for the food for thought. “…characters fans think of as friends.” I write cozy mysteries and mystery/crime, both with female protagonists. The tag is adapted from what readers mention most often in reviews. Excellent to use common phrases that your fans and reviewers repeat. Creating cozy mysteries that fans think of as friends. Creating cozy mysteries that readers think of as friends. My tag line is “Dachshund Books for Dog Lovers.” I write Fiction from a dachshund’s viewpoint: THE DACHSHUND ESCAPADES series by Sarge the dachshund. Makes me smile Mavis. I’ll never forget the time my youngest Sheryl at 5 decided that our Dauchshund Pixie should have her teeth brushed each morning after her breakfast. That little squirt became quite adapt at hide and seek. Oh, doxies are masters at hiding when they don’t want to do something, like take a bath! I’ve found my doxie Duke hiding under the covers of the bed in our guest room! So fun … four legged rascals!